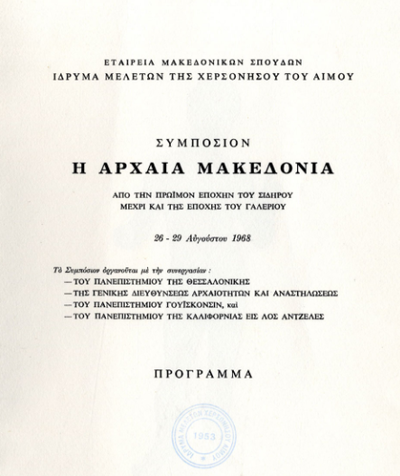 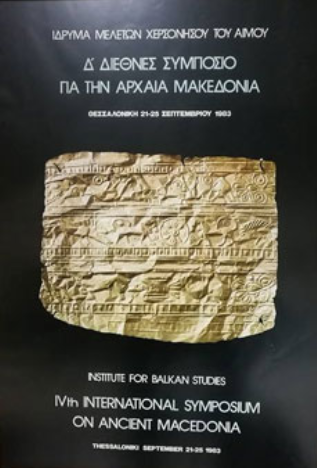 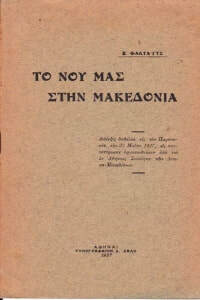 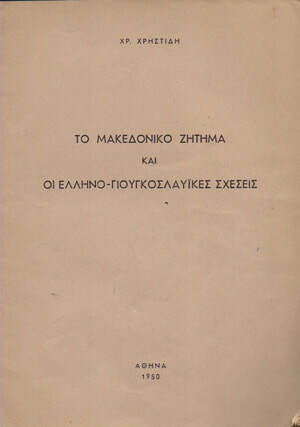 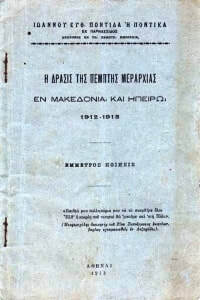 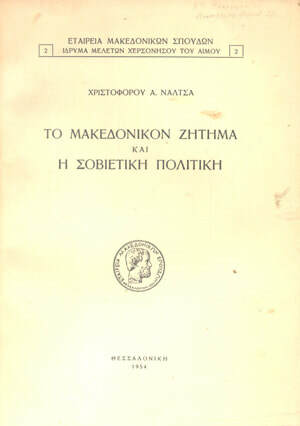 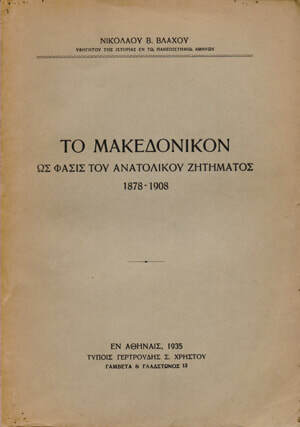 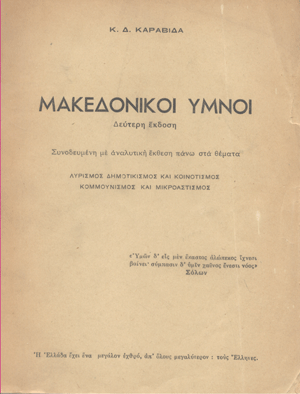 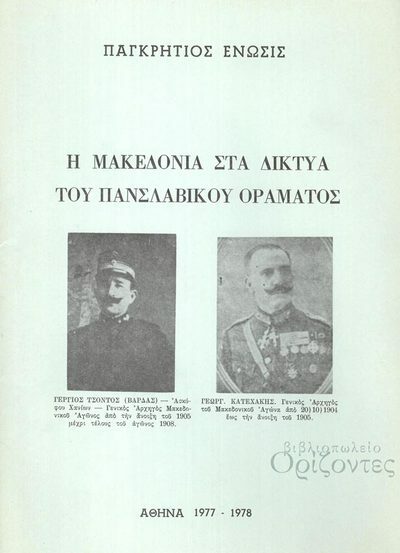 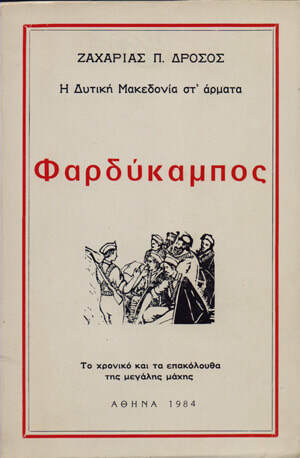 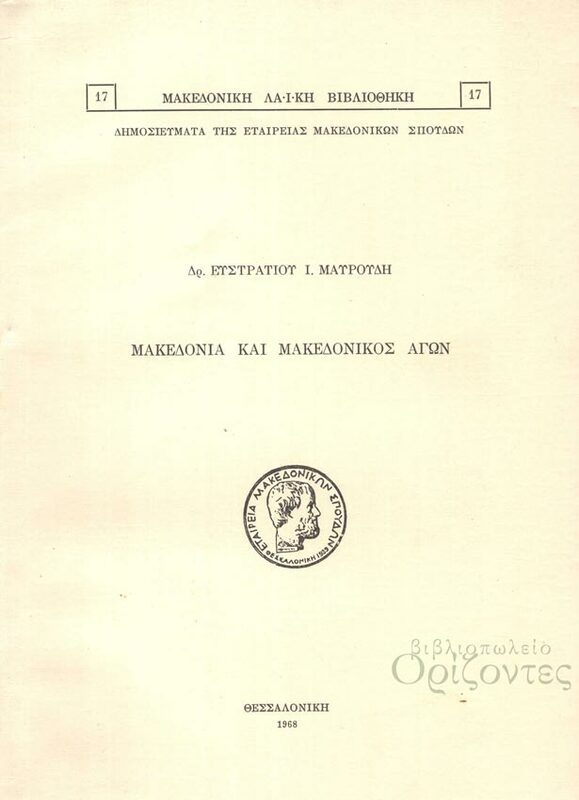 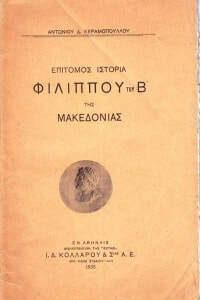 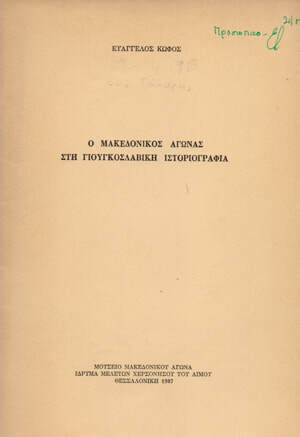 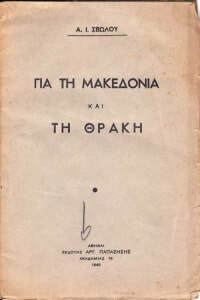 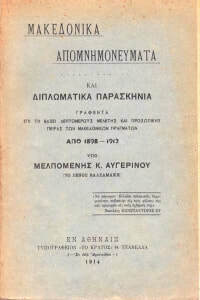 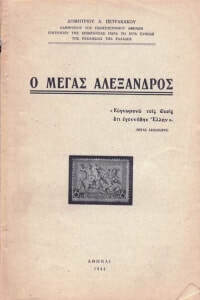 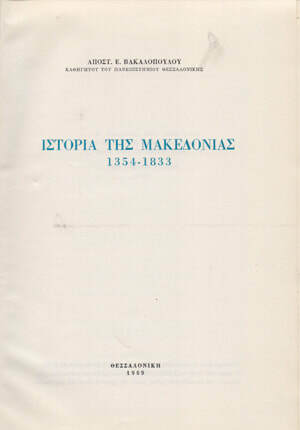 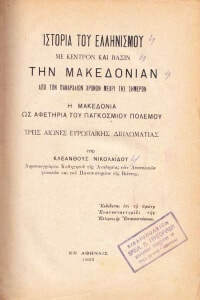 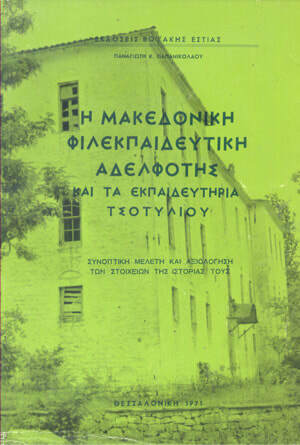 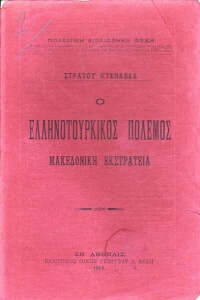 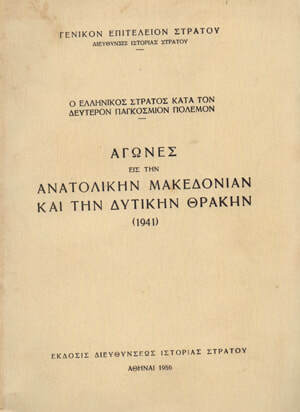 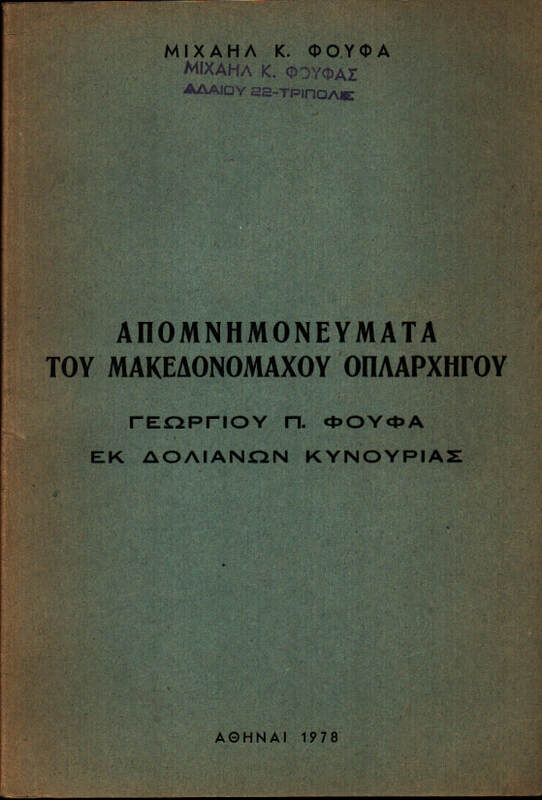 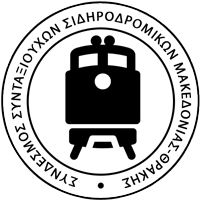 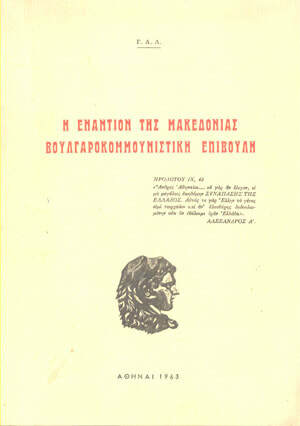 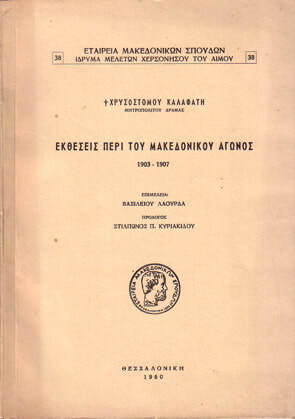 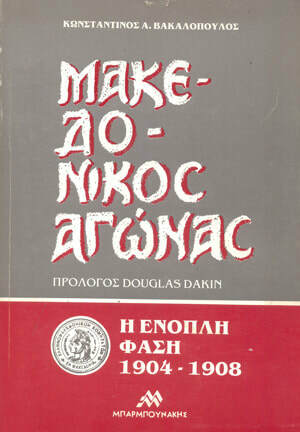 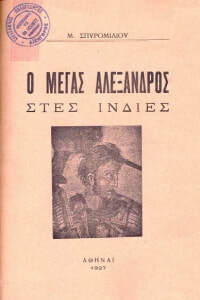 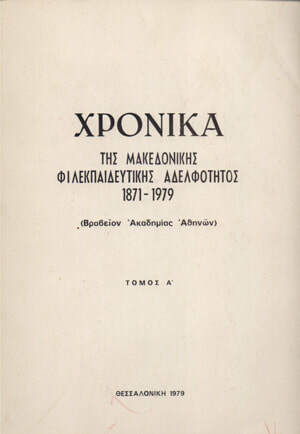 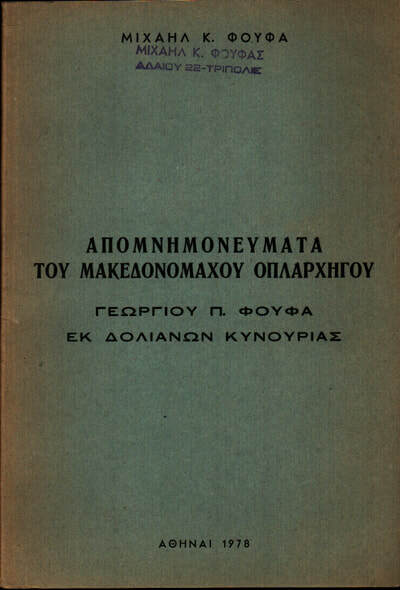 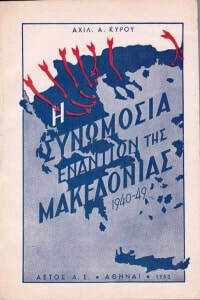 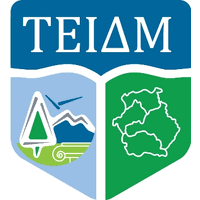 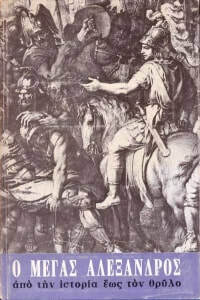 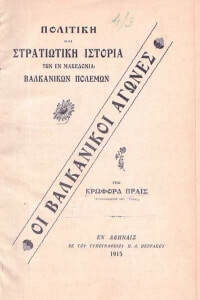 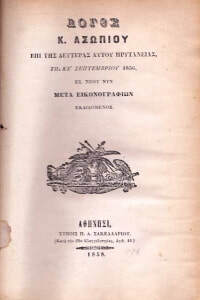 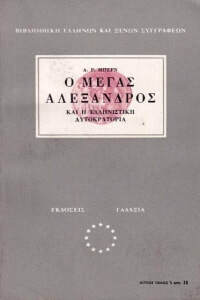 This resource page is available to counter the absurd FYROM Slav myth that the word "Macedonia" along with the Greek region of Macedonia's ancient history, its capital city Thessaloniki, its important archaeological sites, historical figures and other associations to the Macedonia region were prohibited in Greece prior to 1988. 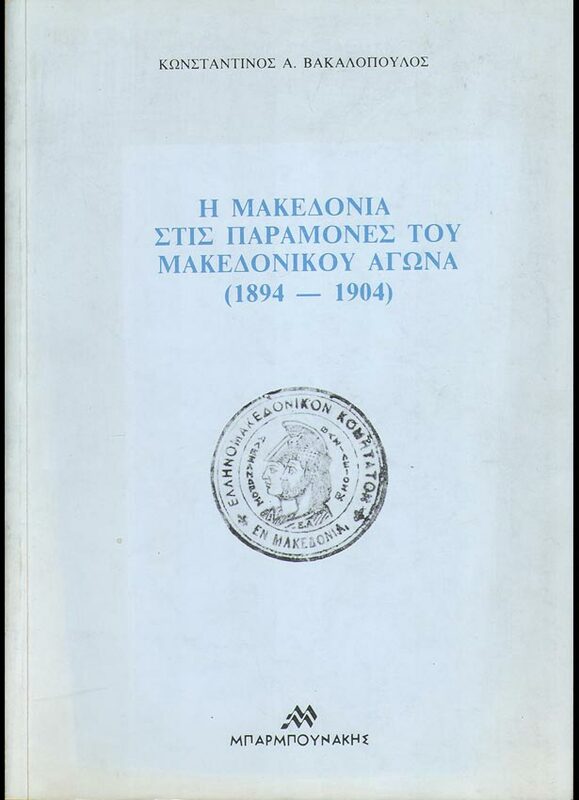 The page is designed to help our non-Greek audience, who may have been misled into believing that up until 1988, if the word "Macedonia" and anything remotely associated with the region was even uttered in Greece, the penalty was imprisonment and/or corporal punishment. 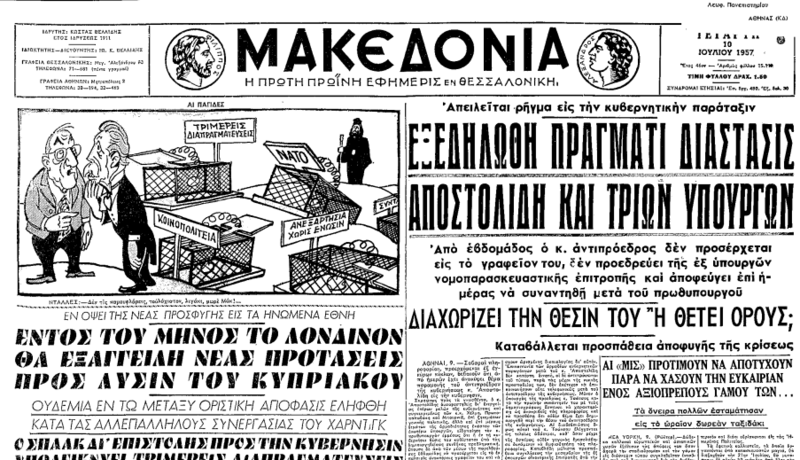 Joseph Goebbels stated: “If you tell a lie big enough and keep repeating it, people will eventually come to believe it." 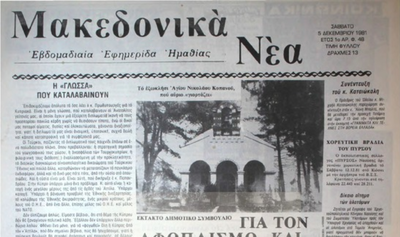 The unfortunate reality for the FYROM Slav organizations propagating this myth is that the only ones who actually believe that such prohibition existed in Greece are their followers. 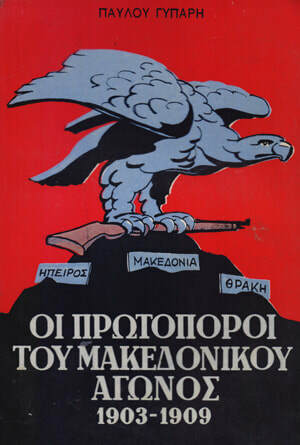 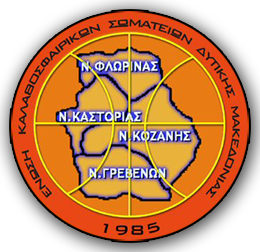 First, some FYROM Slav organizations claim that Greece's National Intelligence Service supposedly had advance intelligence in the mid 1980's that Yugoslavia was going to dissolve. 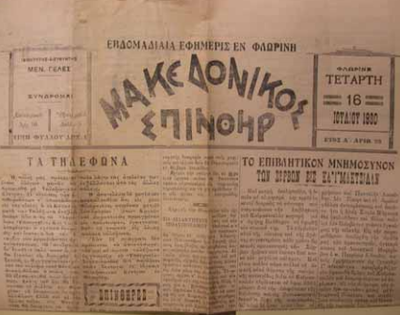 Thus, as part of this version of the myth, Greece had to act unilaterally to solidify their future grip on the "Macedonia Question" which had been plaguing the Balkans since the 1900's. 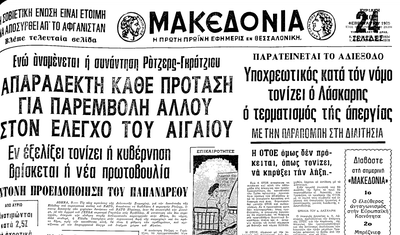 This myth further states that Greece's Intelligence Service supposedly withheld this information from its international counterparts - i.e. 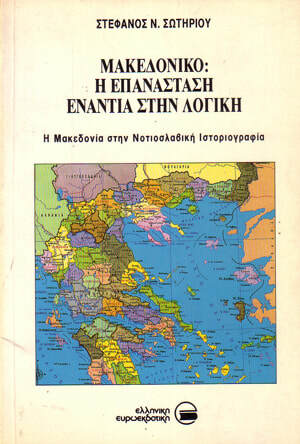 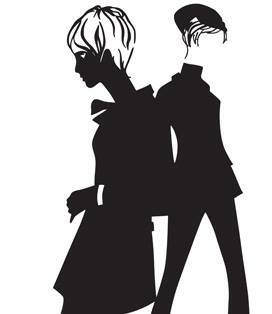 the CIA, MI6, Mossad and others. 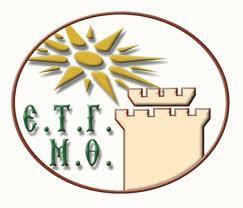 Second, other FYROM Slav organizations claim that Greece released a commemorative stamp in 1988 featuring the 75th anniversary of the liberation of the regions of Epirus and Macedonia but that the names of both regions - Epirus and Macedonia - were left off the stamp. 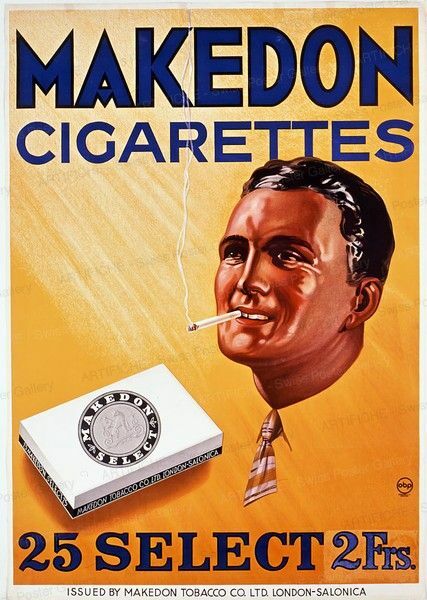 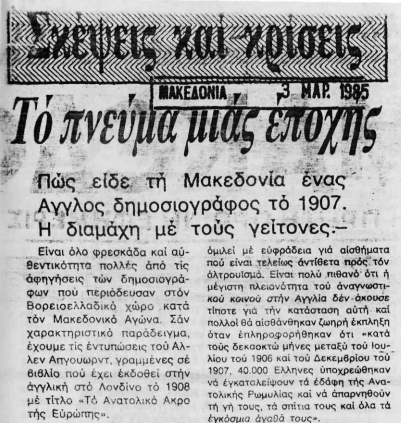 This to some, is "proof enough" that the "Macedonia prohibition" was in effect in Greece. 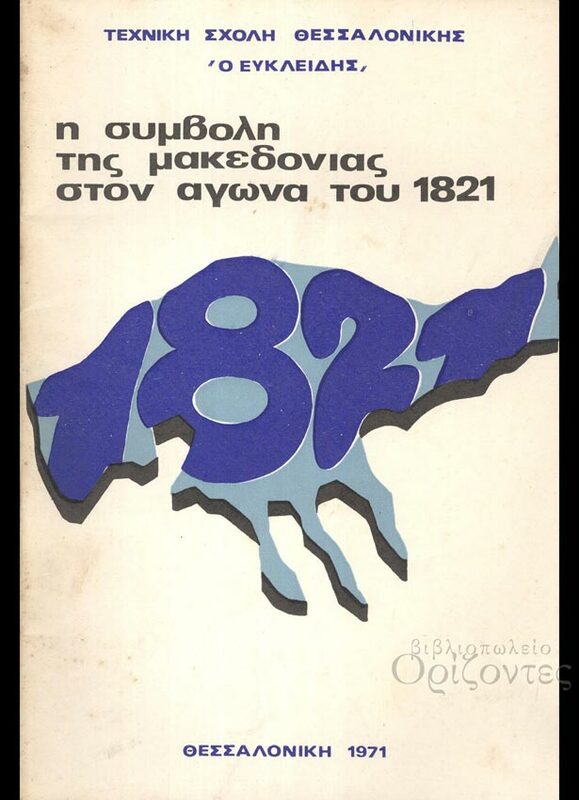 Third, FYROM Slavs who fervently follow the ultra-nationalist WMC claim that Greece had named the Greek region of Macedonia as "Northern Greece" from 1913 up until 1988. 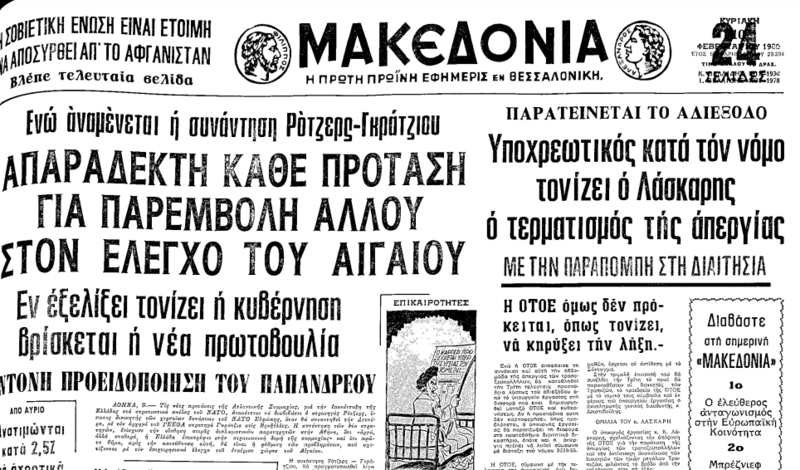 This story is then weaved together with the National Intelligence Service story in the first point above, in order for it to make sense - i.e. 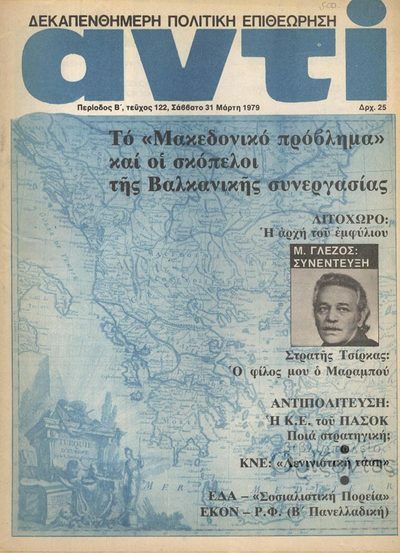 that "Greece had to act fast" prior to the dissolution of Yugoslavia. 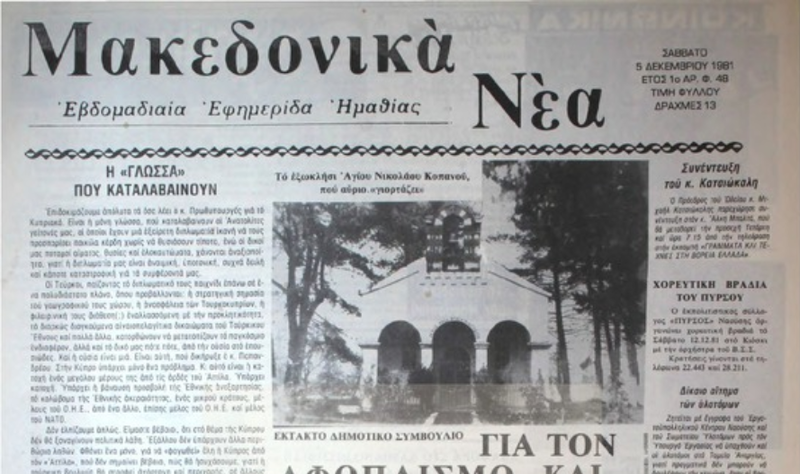 This myth also includes the twisting of facts pertaining to the "Ministry of Northern Greece" - the ministry responsible for both the regions of Macedonia and Thrace as a single administrative unit (hence the name Ministry of “Northern Greece.”). 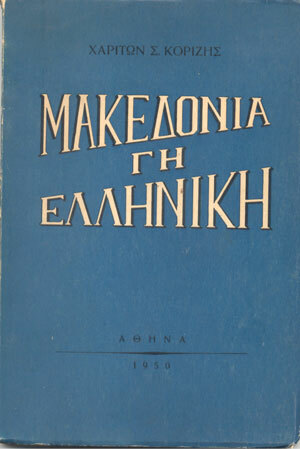 Furthermore the WMC erroneously claims that the words "Northern Greece" in the Ministry’s name were a reference specifically for the region of Macedonia only. 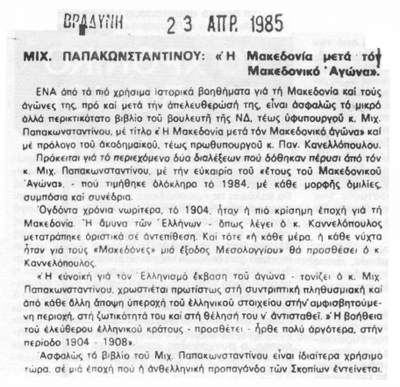 However, as stated, the ministry was composed of the regions of both Macedonia and Thrace as a single administrative unit. This resource page makes it utterly clear that not only was the term "Macedonia" allowed in Greece prior to 1988, but that the history of Macedonia, its cities and sites, and all ancient Macedonian personalities were allowed as well. 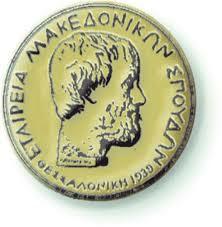 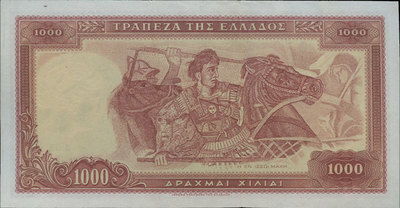 It demonstrates that the modern Hellenic Republic's portrayal of Macedonia can be seen everywhere from banknotes to stamps, postcards, newspapers, businesses, textbooks etc. The resource page totally discredits the FYROM Slavs who insist (or who have been misled into believing) that the prohibition was real. 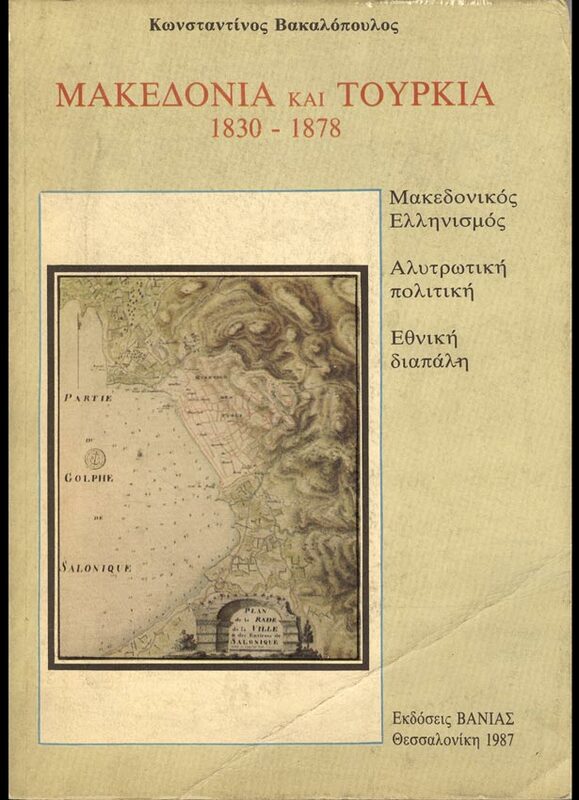 This page clearly shows that the Greek region of Macedonia and its history have always been a source of pride for the Greek nation from the establishment of the modern Hellenic Republic to recent times...and no myth (or lie) can refute that. 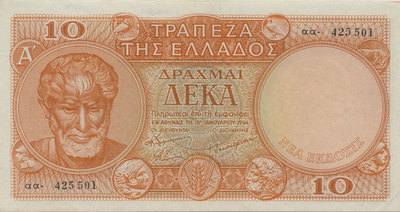 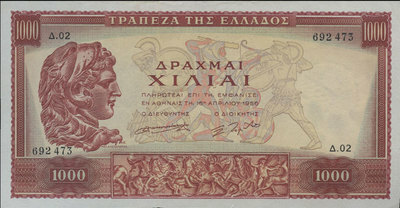 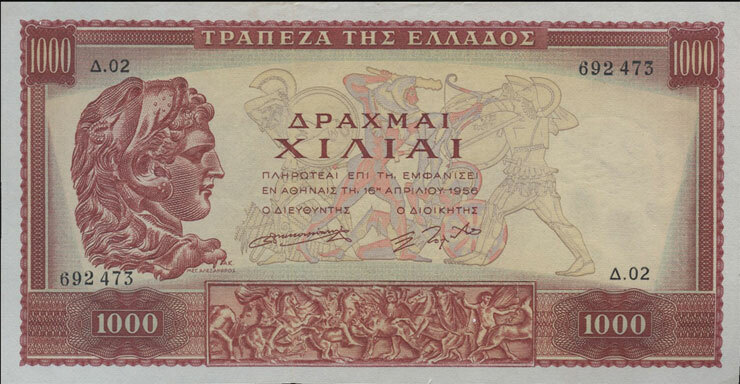 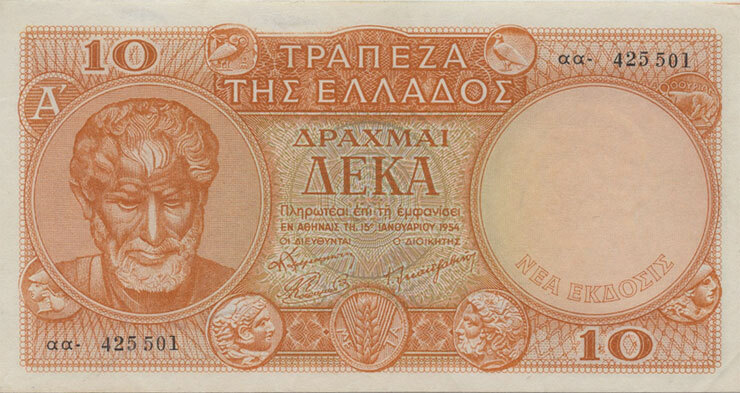 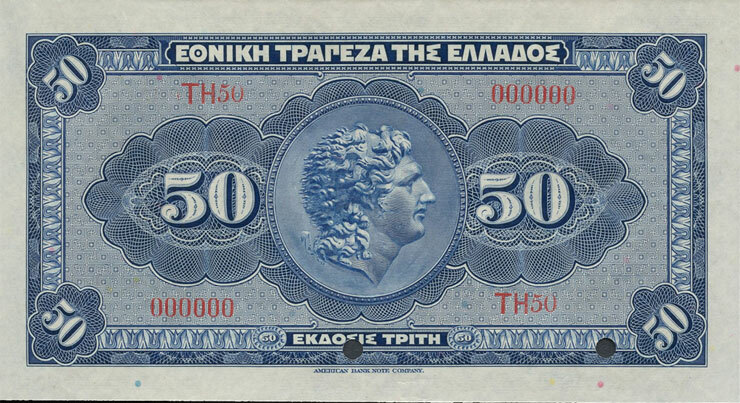 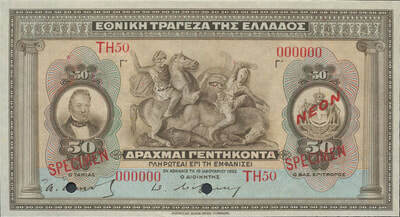 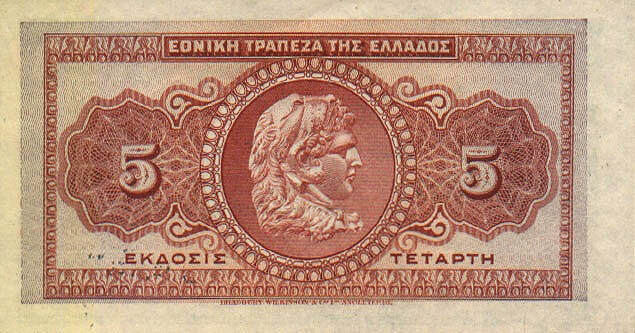 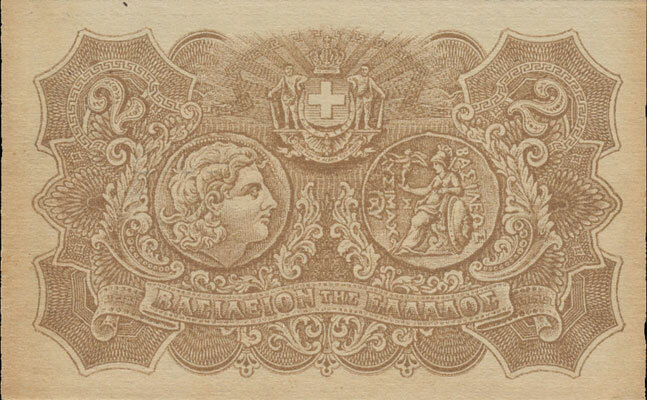 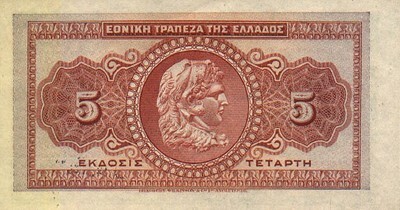 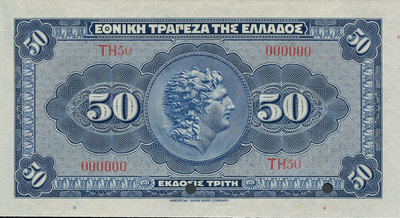 Since its creation, the National Bank of Greece, later known as the Bank of Greece, featured on numerous banknotes imagery of Macedonia, its cities, Alexander the Great, Aristotle and other defining historical moments of the Macedonia region. Please click on banknote images below to enlarge and to see release dates and other details. 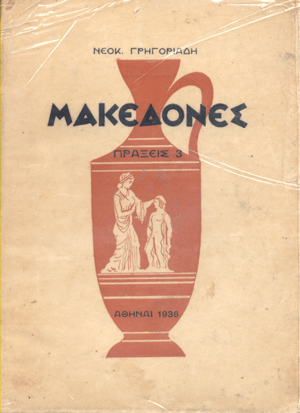 All images below are pre-1988. 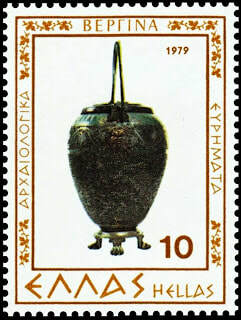 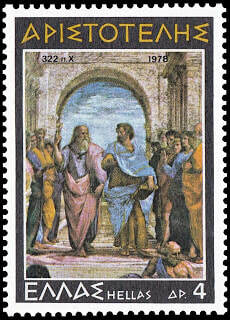 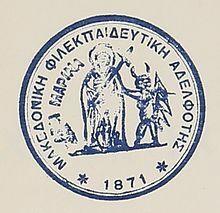 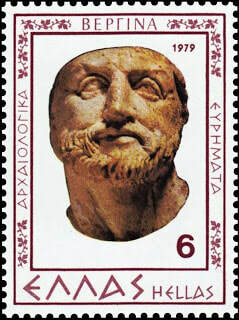 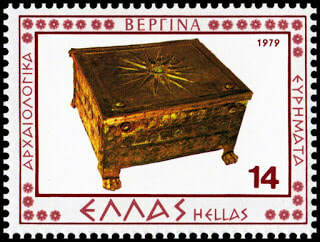 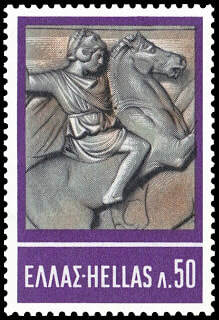 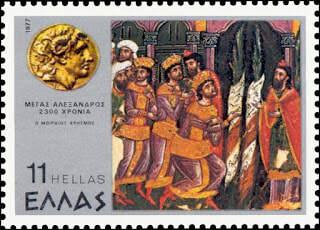 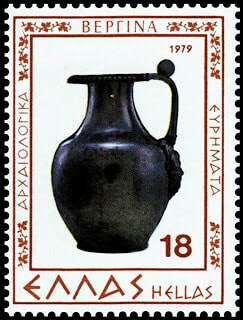 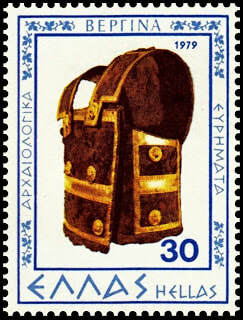 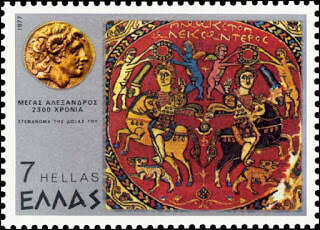 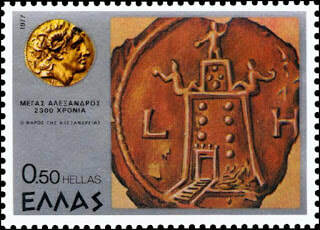 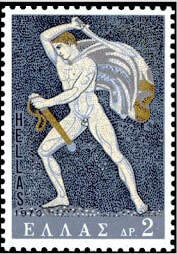 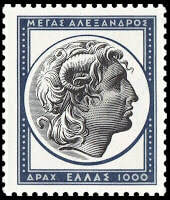 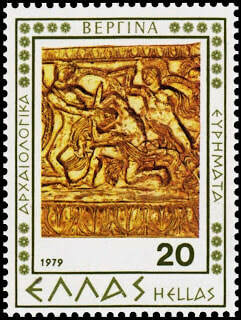 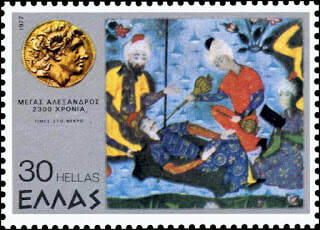 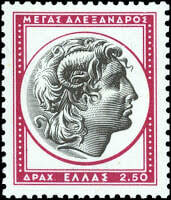 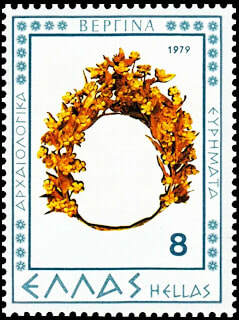 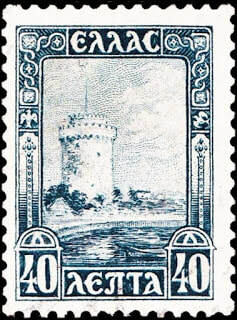 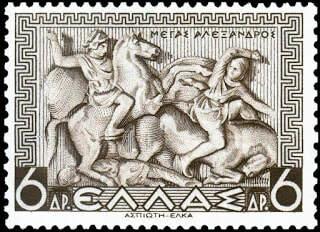 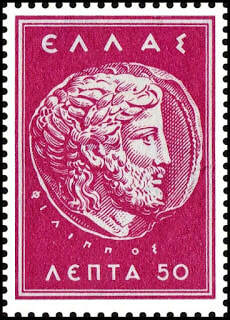 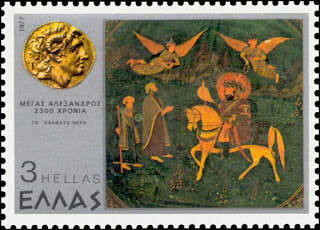 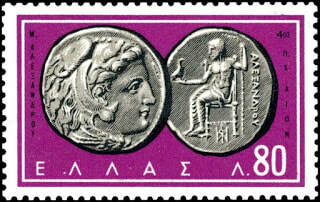 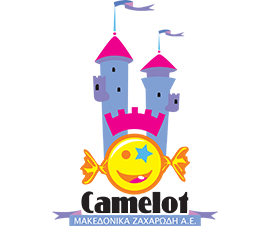 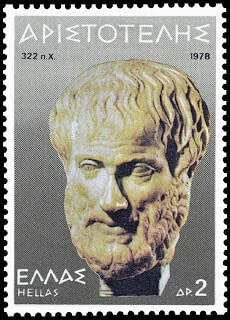 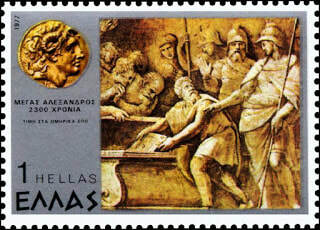 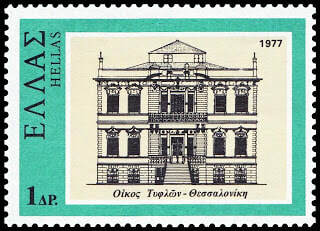 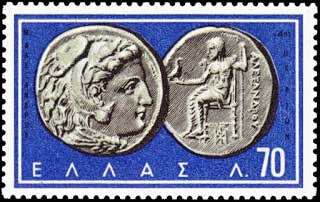 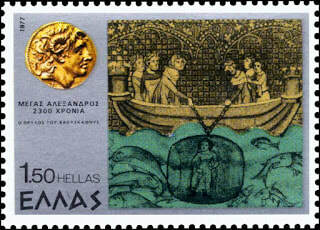 Since its creation, the Hellenic Postal Service featured on numerous stamps imagery of Macedonia, its cities, Alexander the Great, Aristotle and other defining historical moments of the Macedonia region. 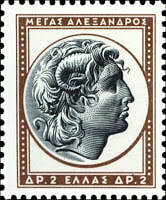 Please click on stamp images below to enlarge and to see release dates and other details. 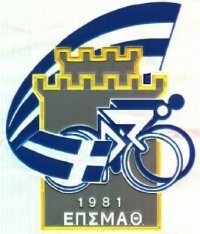 All images below are pre-1988. 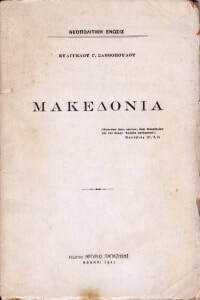 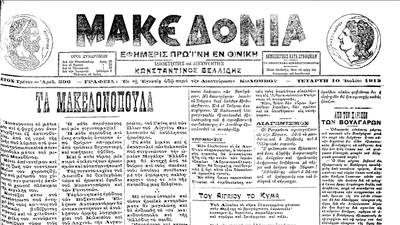 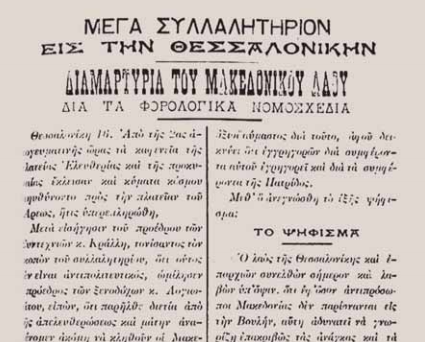 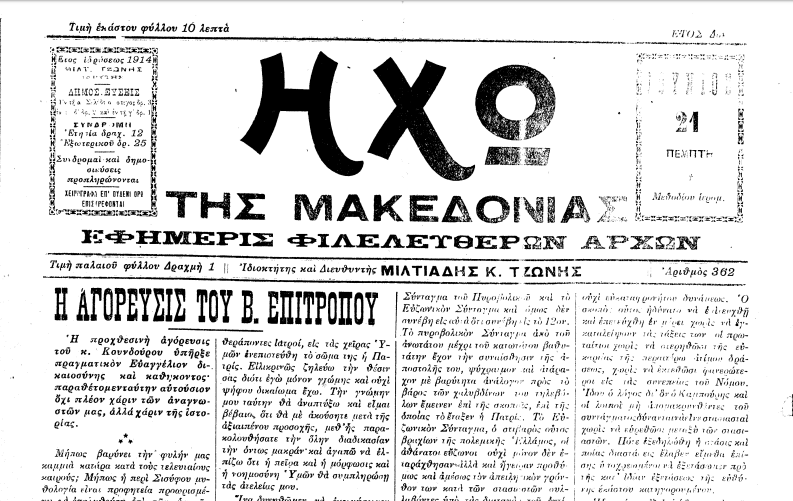 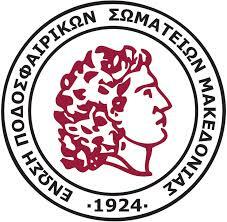 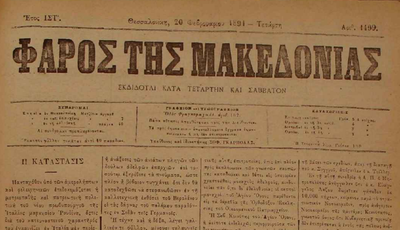 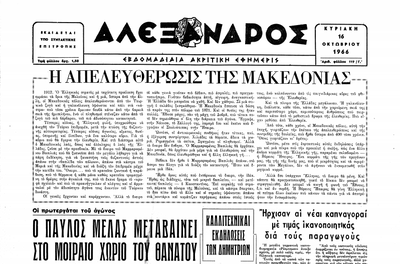 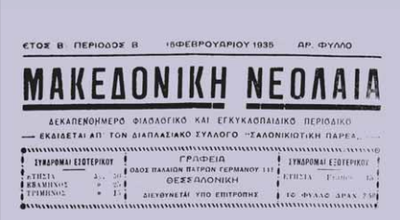 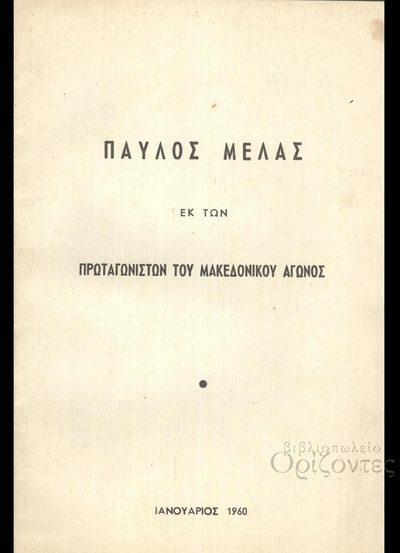 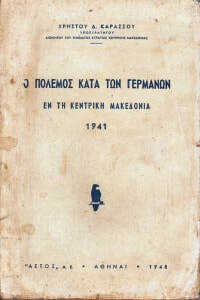 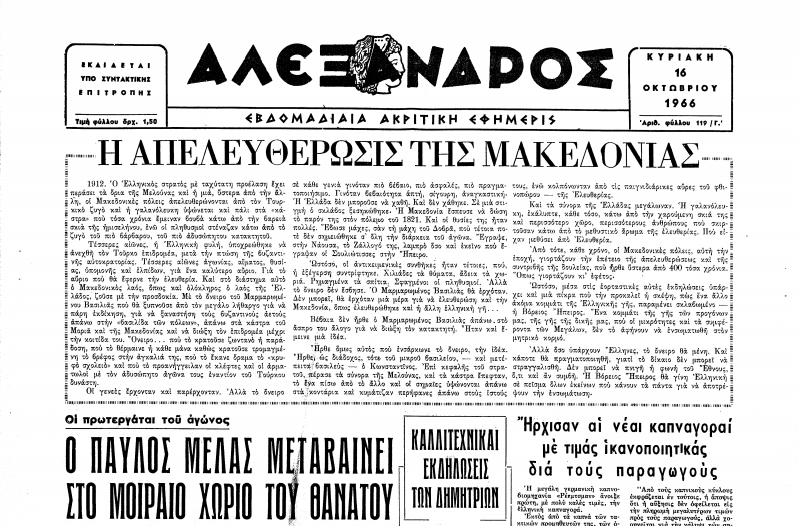 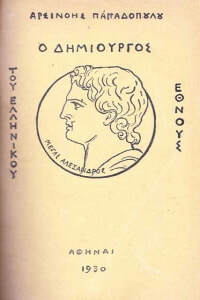 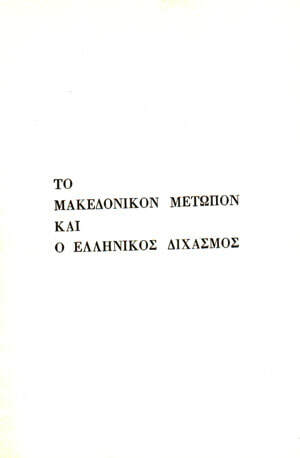 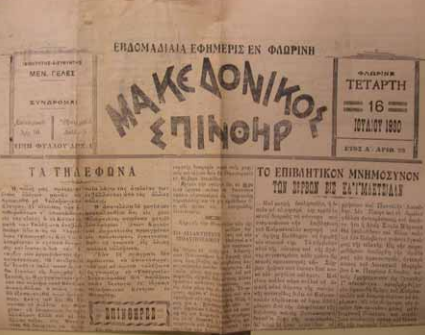 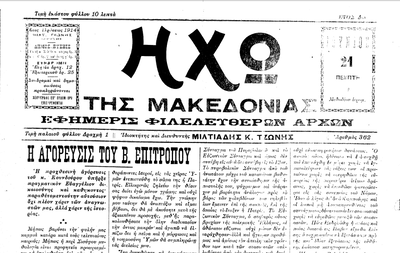 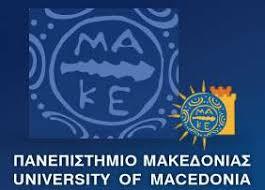 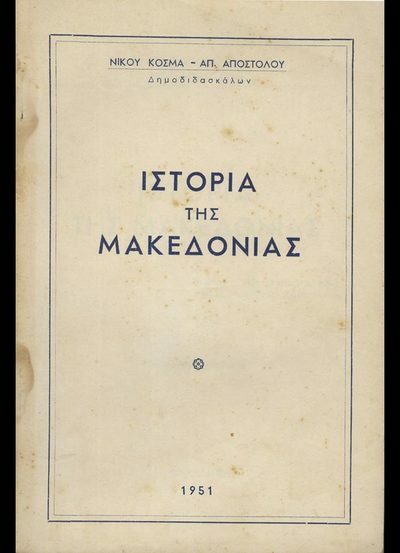 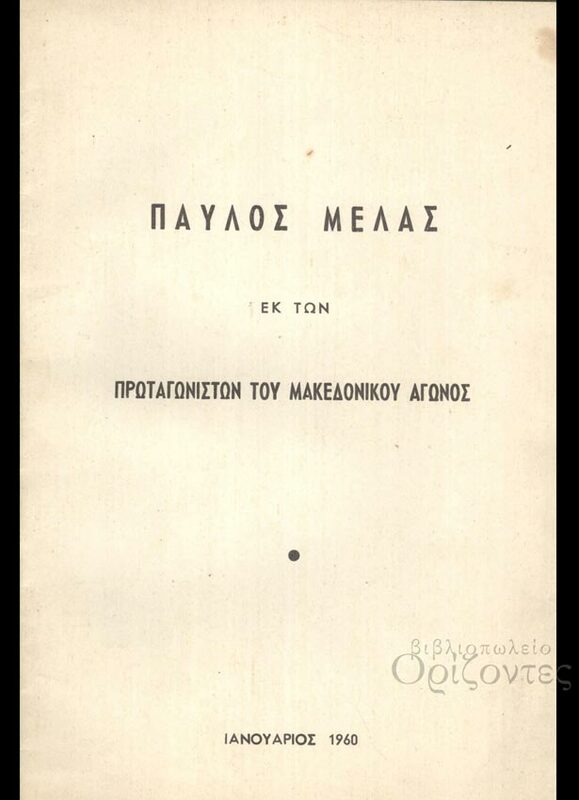 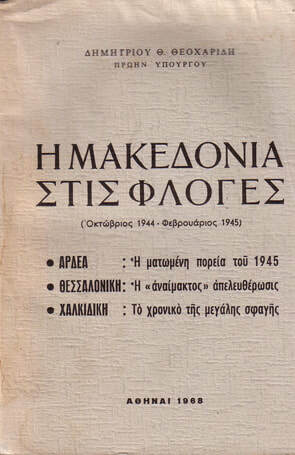 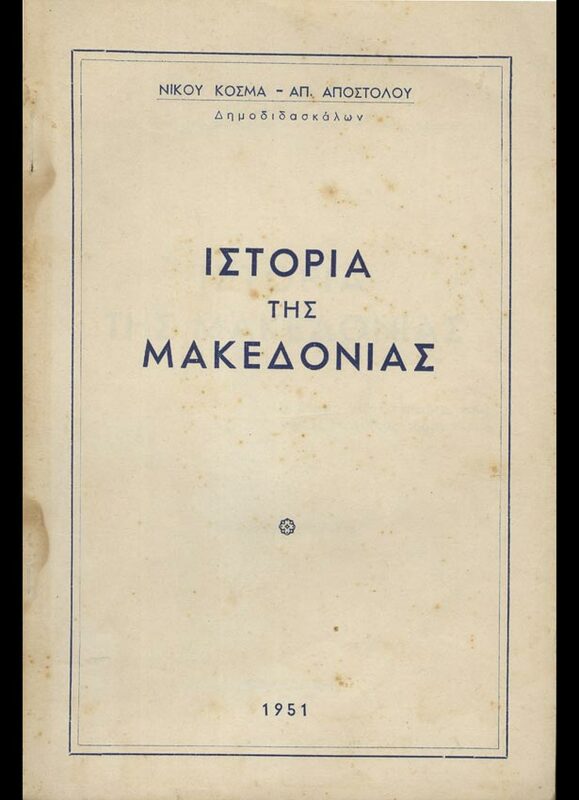 Ever since the first printing presses were introduced in Greece, many books have been written in Greece about ancient and modern Macedonia and many Greek newspaper owners in the region of Macedonia used the name "Macedonia" as the name of their respective newspaper publications. 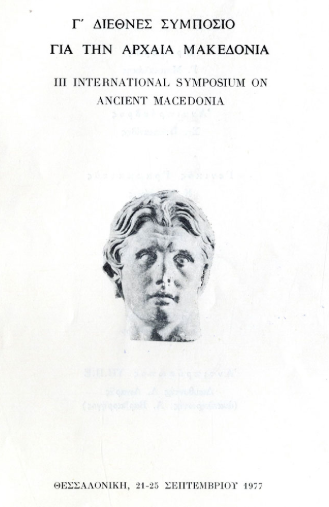 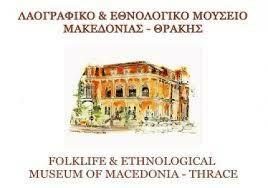 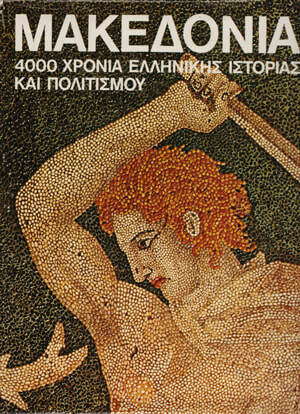 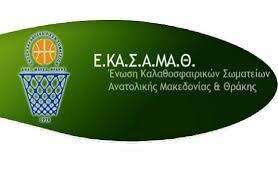 Below is a very small sampling compiled by the Macedonian League with items spanning the various eras. 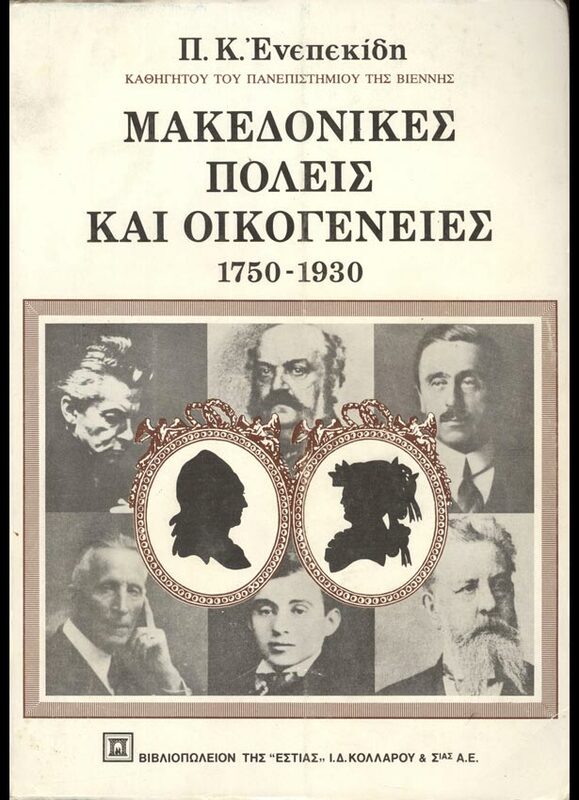 Please click on book, newspaper, news article and educational event images below to enlarge and to see publication dates and other details. 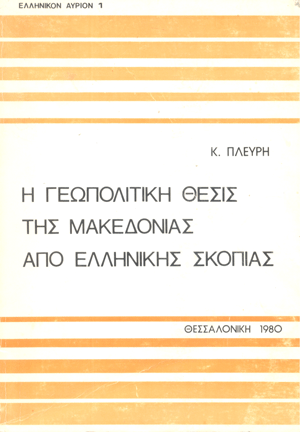 All images are pre-1988. 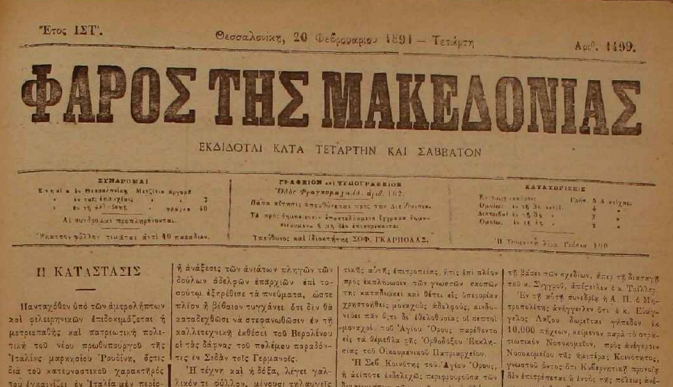 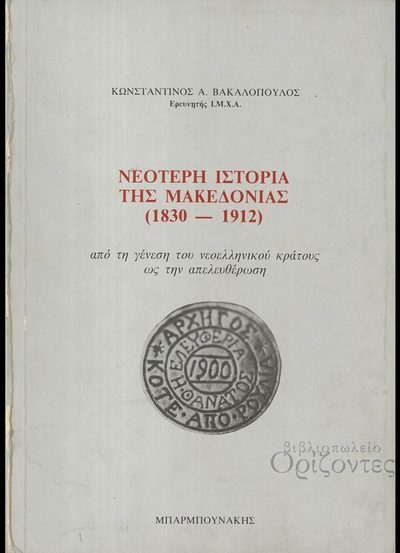 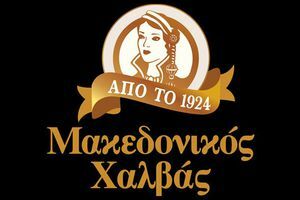 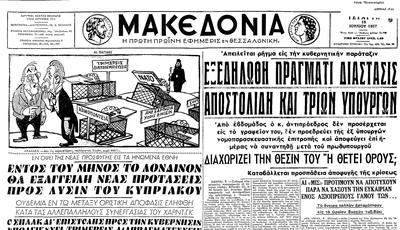 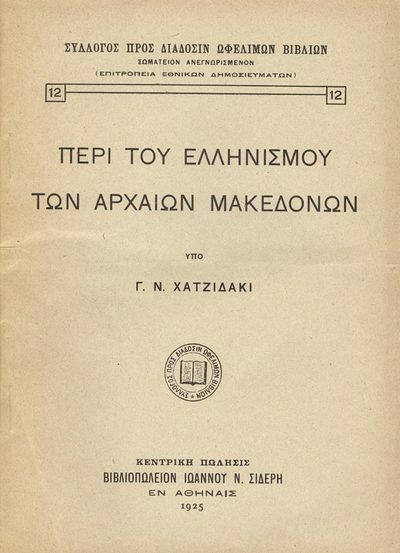 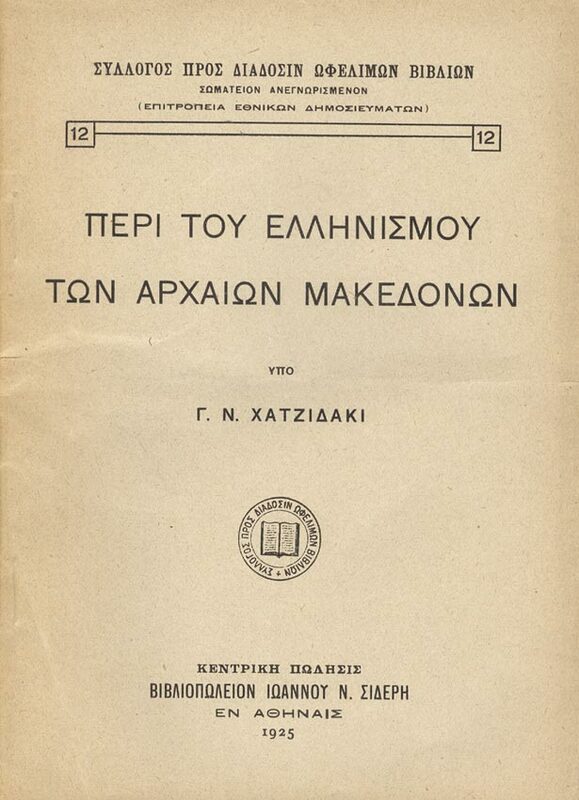 Even prior to the Liberation of Macedonia in 1912-1913, Greek entrepreneurs have used the term "Macedonia" in the name of their business enterprises. 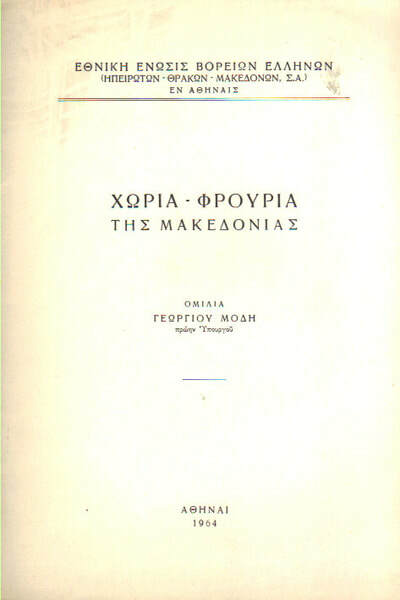 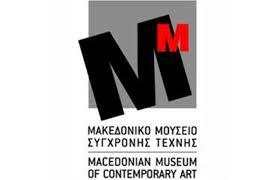 From food to entertainment and from construction to modern technology the word "Macedonia" has been in continuous use in modern Greece with the majority of those businesses still in operation today. 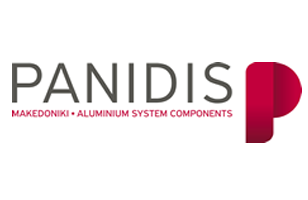 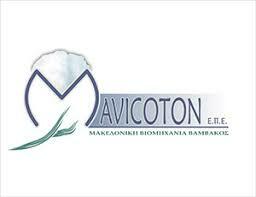 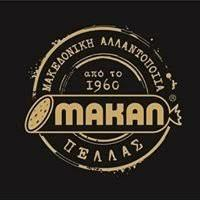 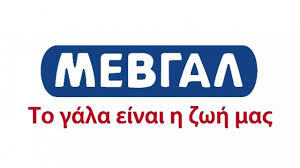 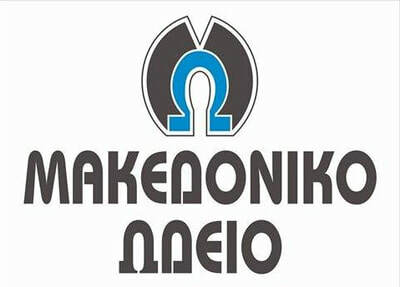 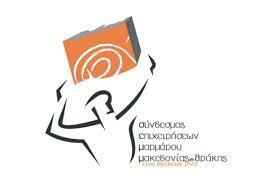 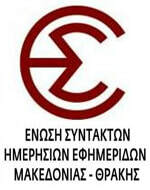 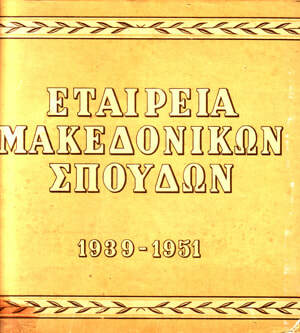 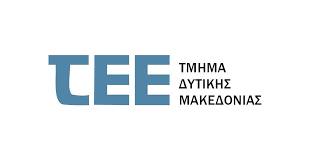 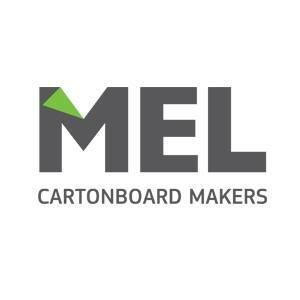 Today, the term "Macedonia" is featured on the name of over four thousand companies throughout Greece. 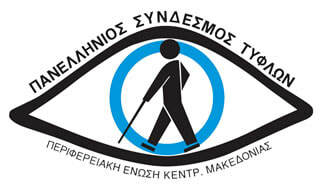 Please click on logo images below to enlarge and to see dates and other details. 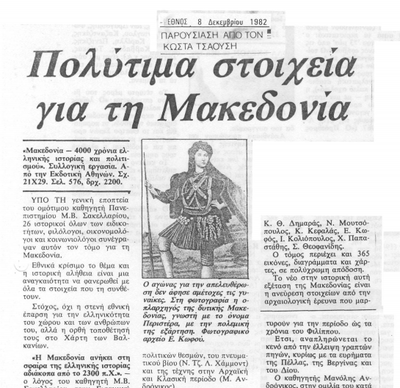 All images below are pre-1988.